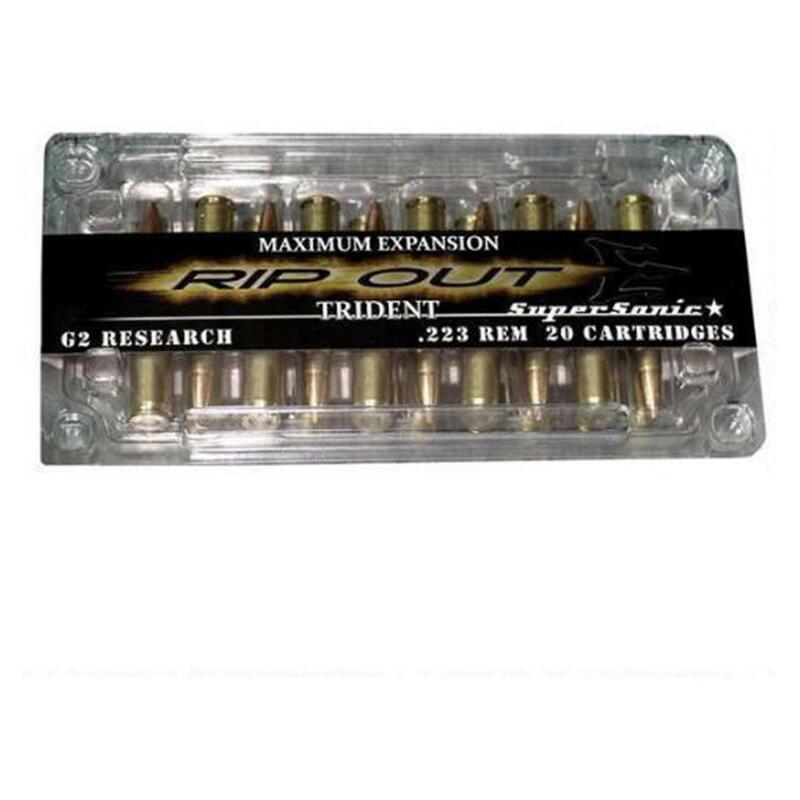 Delivering incredible knockdown, penetration and incapacitation, G2 Research Trident RIP Out Ammo is perfect for personal defense or your next hunting excursion. Each round is precision machined for greater reliability and consistency of shot. The casing is brass and are completely reloadable. And with an expansion of 2.5 to 3 times its initial size and a penetration of about 24", it truly is "the last round you'll ever need." Millions of hunters have proven the accuracy and deadly knock-down power of Hornady. Shoot nothing but the best.